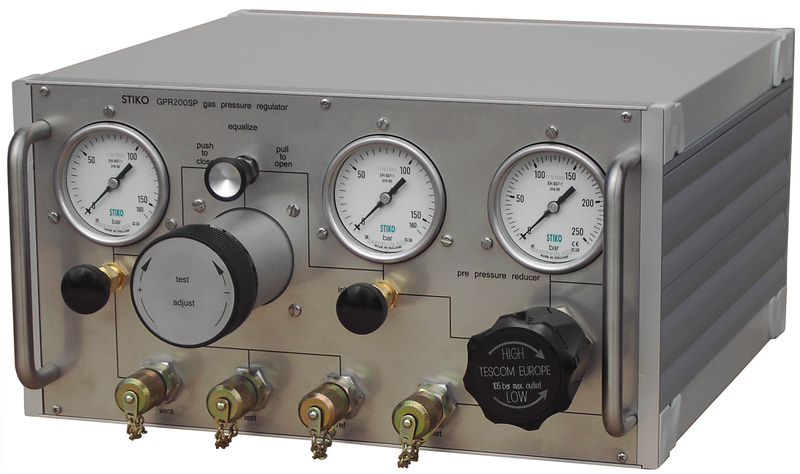 Deadweight Testers | Veronics Instruments Inc.
Deadweight testers are the basic primary standard for accurate measurement of pressure. 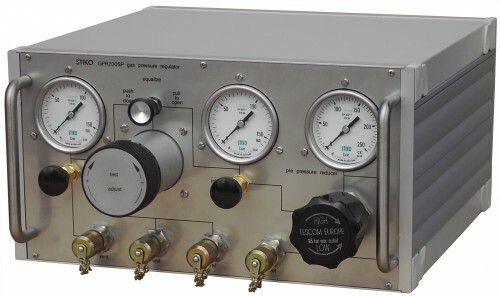 The STIKO deadweight testers are used to measure the pressure exerted by gas or liquid and can also generate a test pressure for the calibration of numerous pressure instruments. 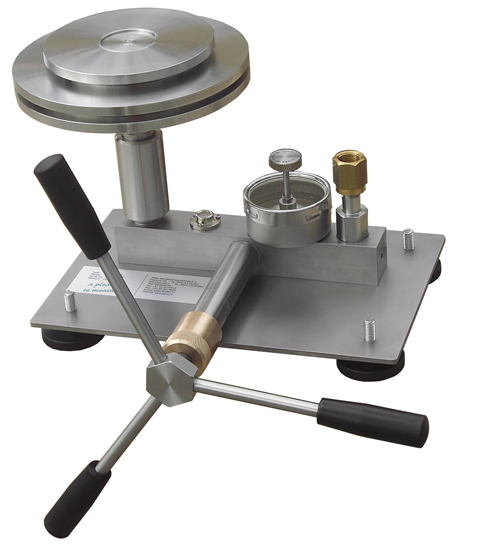 No other device can match the stability, repeatability and accuracy of a deadweight tester. 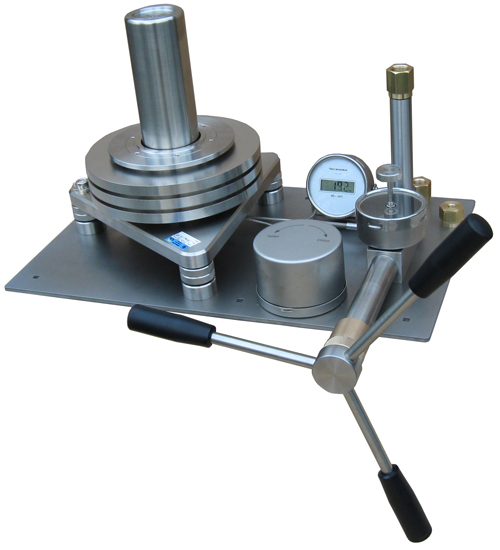 This is a stainless steel deadweight tester. Ranges up to 1400 bar (20.000 psi). 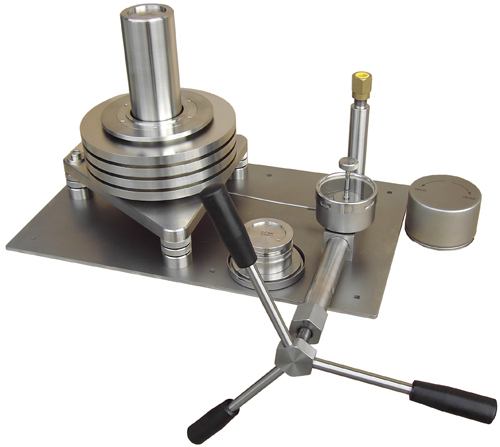 A dead weight tester apparatus uses known traceable weights to apply pressure to a fluid for checking the accuracy of readings from a pressure gauge. A dead weight tester (DWT) is a Calibration standard method that uses a piston cylinder on which a load is placed to make an equilibium with an applied pressure underneath the piston. Deadweight testers are Primary Standards which means that the pressure measured by a deadweight tester is defined through other quantities: length, mass and time. 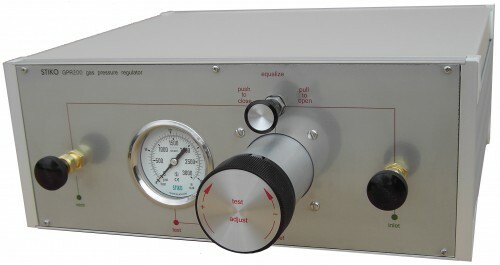 Typically deadweight testers are used in calibration laboratories to calibrate pressure transfer standards like electronic pressure measuring devices. 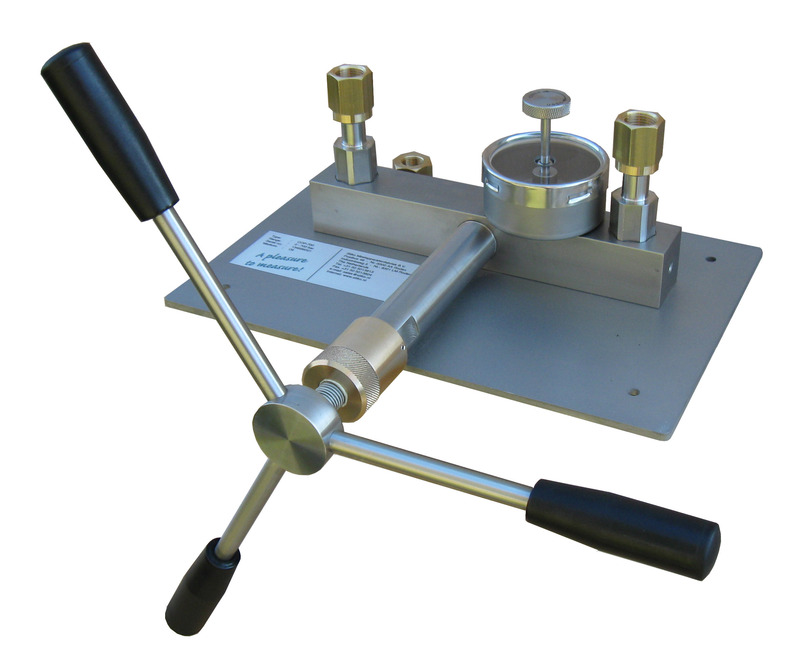 This is a Gas operated / liquid lubricated deadweight tester with a hard metal tungsten carbide piston cylinder assembly. Ranges up to 200 bar (3.000 psi). Accuracy: 0,01% and 0,008% of reading. This product is used for checking instruments against master test gauges. Ranges up to 1400 bar ( 20.000 psi ). Ranges up to 7000 bar ( 100.000 psi ). Compact and easy to use system for manually setting and adjusting pressure. For pressure- and differential pressure. The GPR-S-120 is designed to manually set and adjust gas pressures between atmosphere and 12 MPa in high line applications. For this the GPR-S-120 has 2 special regulating valves. The calibration of pressure transmitters at several temperatures with a maximum of 250°C and a maximum of 2000 bar. The desired 250°C is higher than the flashpoint of the medium used in a deadweight testers (Sebacate) so a different fluid needs to be used in the heated part of the system. A physical separator is not desirable as this adds uncertainty to the system. process oil (high temperature Silicon oil) which has a higher density than the Sebacate oil used in the deadweight tester. The upper pressure port is used for connecting the Sebacate part of the system. The mixing chamber is also used for connecting additional safety devices. A pre hand pump is used to fill the system. 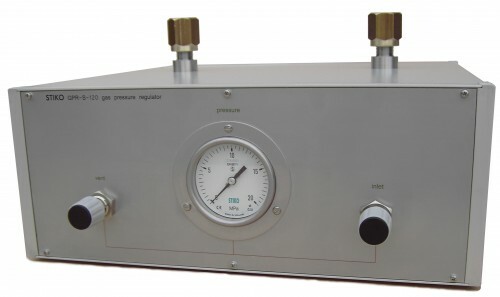 This liquid seperator can be used up to 2000 bar. The separator can be used in a calibration system with two different types of oil. 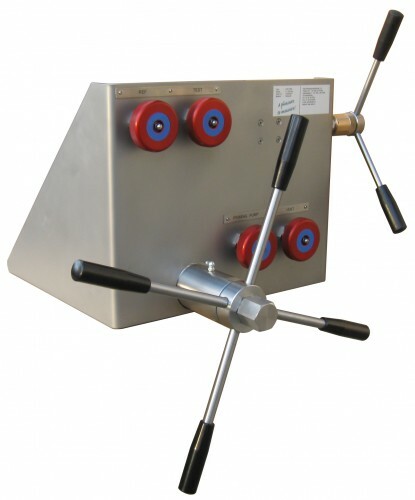 The first oil is used in the deadweigh tester and the secound is used in the device under test. The liquid seperator does not have a physical barrier, but uses a mixing chamber with a lower and upper pressure port. 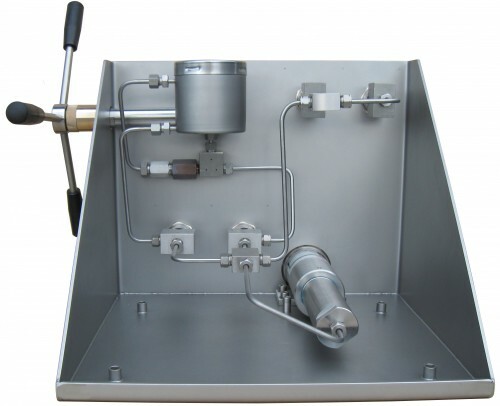 The lower pressure port is dedicated to be connected to the process oil which has a higher density than the oil used in the deadweight tester. The upper pressure port is used for connecting the deadweight tester.